A jewel-like tiny island in the Sulu Sea with a much acclaimed tropical island paradise resort offering everything for a small number of guests, great beaches, superior rooms and food, and fantastic diving around more than thirty dive sites, including two wrecks. Unpopulated and covered by thick tropical rainforest on its topside, this peaceful, untouched little bit of paradise is ringed by an endless pure white sandy beach, offering simply elegant and exquisite accommodation in a handful of wooden, roomy and perfectly appointed seafront double-occupancy chalets. Meals are informally served at the central open building, which boasts an amazingly beautiful open-air wooden terrace, the ideal spot for after dinner, relaxation and chatting, all the while admiring the dozens of juvenile blacktip sharks swimming leisurely a few feet beneath. While the ideal destination for those who search tranquility and relaxation in a virgin natural setting and for families with children, Lankayan Island is also one of the hottest diving destination on the map today : its dive sites – all just a few minutes away – boast unbelievably colorful macro fauna, fascinating wrecks and in season from March to May, regular sightings of gigantic and harmless whale sharks, the ” dream date ” of every diver in the world. Sipadan Scuba is the first and only PADI 5 Star Instructor Development Center in Semporna, Sabah, Malaysia and the first National Geographic Dive Center in Borneo. In 2008 we have been declared Winner of 3 PADI awards that include the “PADI Top Achievement 2008 Award” and on an individual basis the “PADI Go Pro Challenge 2008”. Sipadan Scuba is the pioneer of diving at the islands of the Semporna Marine Park and the local leader in professional diving education since 1998. Our core staff have all stayed at Sipadan Island itself in the early 1990’s before joining together to form Sipadan Scuba. Thanks to a team of highly qualified, multinational divemasters and instructors Sipadan Scuba is able to cater to low budget backpackers as well as highly experienced, seasoned divers looking for the extra adrenalin shot or families with children. Through years of experience Sipadan Scuba has developed an impeccably efficient operations system and an excellent reputation in customer service, safety, and satisfaction. 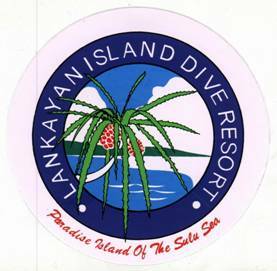 The PADI system of diver education is SS’s primary instructional tool. Recreational PADI courses from Open Water Diver to Master Scuba Diver and professional courses from Divemaster to Master Instructor are being conducted in all major languages on an ongoing basis. Sipadan Scuba fully supports PADI’s new “Dive Today” program, which is based on “Fun, Fun, Fun” allowing for more flexibility. 8. 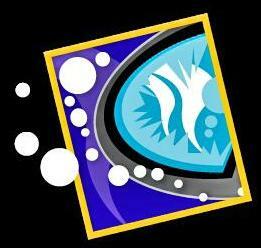 Photo & Video: underwater photo & video cameras are available for hire, courses are available too! A Fully Qualified PADI 5 Star Instructor Development Center (offering all PADI courses from beginner to instructor level), a DSAT and IANTD technical diving training facility (offering technical diving education up to trimix instructor), a DAN sponsor (offering DAN Oxygen Provider courses) and last but not least a GoEco Operator, which means that we care about our water planet and have a strict no glove and no touch policy. 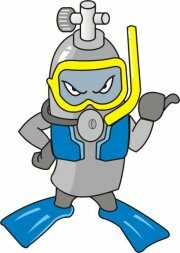 Aqua Dive Centre – Equipment Retailer / Distributor / Operator. Dive Sites: Pemanggil, Dayang, Aur, Tioman & Redang. Diverse Borneo is a PADI five star dive center based at the Tunku Abdul Rahman Park, just 10 minutes by boat from Kota Kinabalu, Sabah. Diving in Kota Kinabalu is highly recommended for taking your PADI dive courses especially with Diverse Borneo as we take safety and group control very seriously, but have many laughs along the way. Address: Lot G30, Ground Floor, Wisma Sabah, Jalan Tun Razak, Kota Kinabalu, Sabah, 88000, Malaysia.